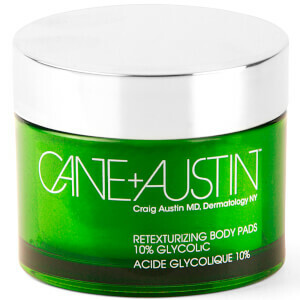 With 20 years of research, founder Dr. Craig Austin developed a line of glycolic acid-based products, derived from pure sugar cane and made with pharmaceutical-grade ingredients, that deliver results rivaling invasive, expensive professional glycolic peels. 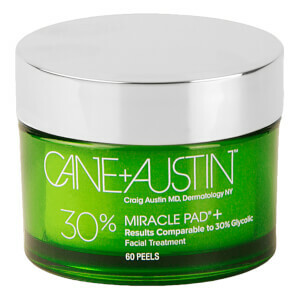 CANE + AUSTIN Retexturizing Treatment Pads 10% Glycolic - Face are a one-step, at-home glycolic treatment that gently exfoliate and retexturize the skin while helping to rebuild collagen. Use twice a day to visibly help reduce the appearance of fine lines, wrinkles and hyperpigmentation, as well as firm skin, improve tone and texture. They restore luminosity and vitality, revealing a clearer, more radiant complexion. 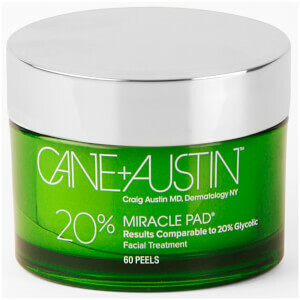 CANE + AUSTIN Acne Treatment Pads 5% Glycolic 2% Salicylic Acid - Face are a one-step, easy-to-use treatment that work to gently exfoliate the skin while combating unsightly acne. Specially formulated to help accelerate the removal of dead skin cells that can interfere with the proper oil drainage. Salicylic acid 2% helps reduce the number of acne blemishes and blackheads while allowing the skin to heal. Treats acne while also delivering anti-aging results. 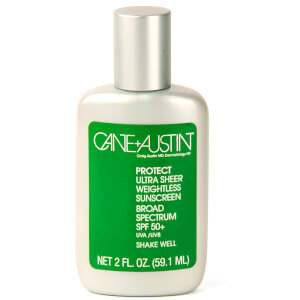 Created by Dr. Craig Austin, CANE + AUSTIN Skin Care is based on providing inexpensive and effective anti-aging and acne treatments. Dr. Austin created his line with simplicity in mind. 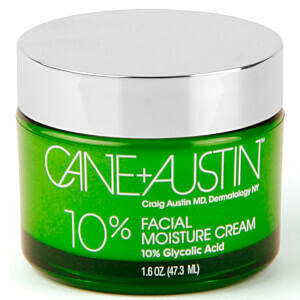 Dr. Craig Austin has acquired a devoted, loyal following to his unique, hybrid approach to skin care. He embraces advanced clinical treatments, histopathology (the microscopic study of diseased tissue and the cellular structure) and hands on patient care."